The Scottish basket hilted broadsword was one of the most frequently used weapons from the last Jacobite Rising between 1750 and 1760. 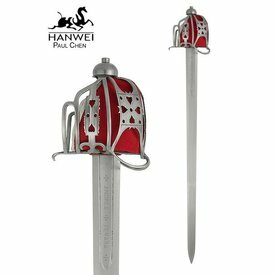 This type of weapon was developed from the mortary hilt broadsword and was used all over the British Isles in a large variety. This broadsword is based on an original that is part of the Royal Armouries in Leeds. The basket is made in the Glasgow style. Although most blades for broadswords were made in Germany, the blades of Andrea Ferrara or Andrew Ferrara (as Sir Walter Scott called him) were made in Scotland itself. 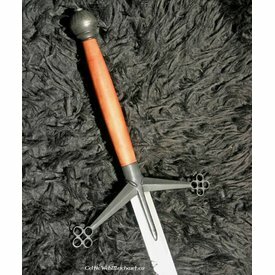 Ferrare was a well-known Italian sword smith who settled between the 16th and 17th century in Scotland near Arbroath. Ferrara is known for his exclusive quality. 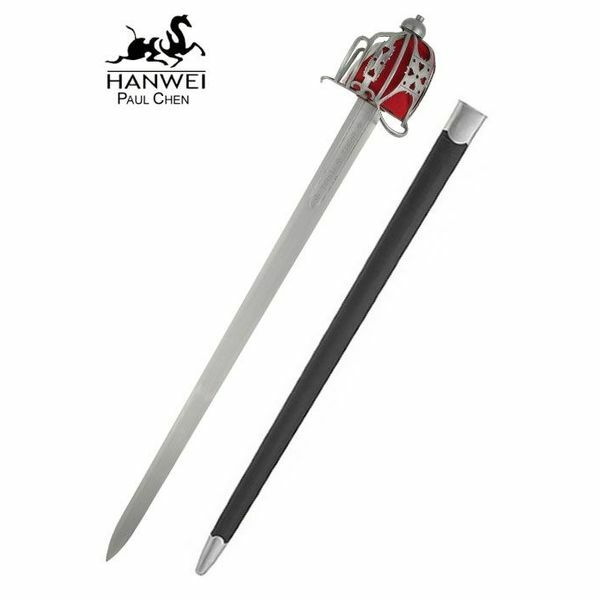 This sword is 101 cm long with a blade of 85 cm and it weighs 1385 grams.